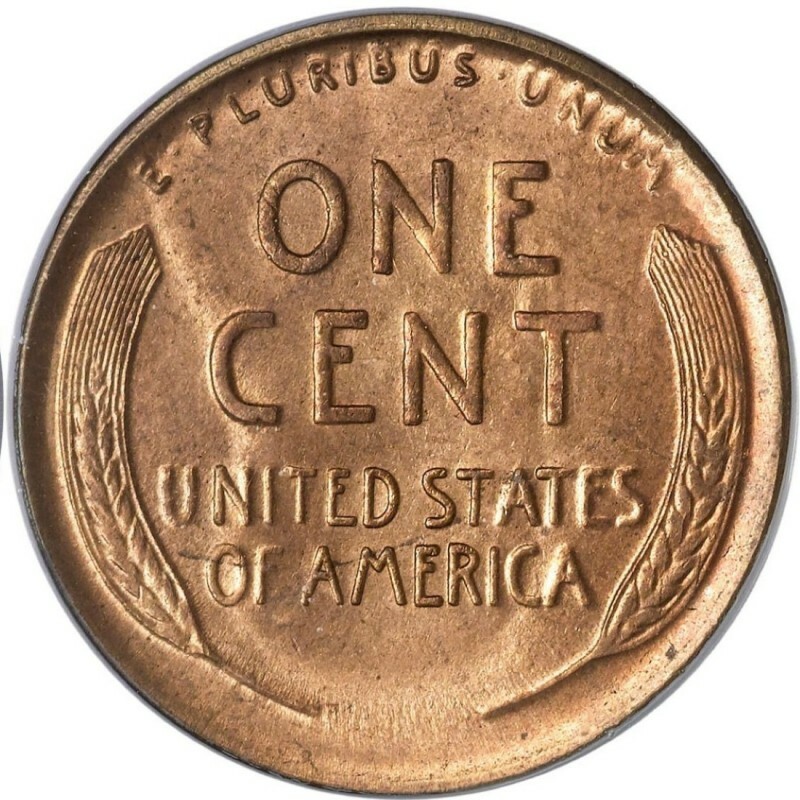 1918 is a significant year among Lincoln Wheat Penny coins because that was when the United States Mint re-added designer Victor David Brenner’s VDB initials to the Lincoln Cent. Instead of appearing on the reverse centered under the wheat stalks, however, the initials were now located on the obverse in much smaller print under the Lincoln’s shoulder and above the rim. 1918 Lincoln Cents have no additional value because of that fact, but it is an interesting point that connoisseurs of the coin like to note. 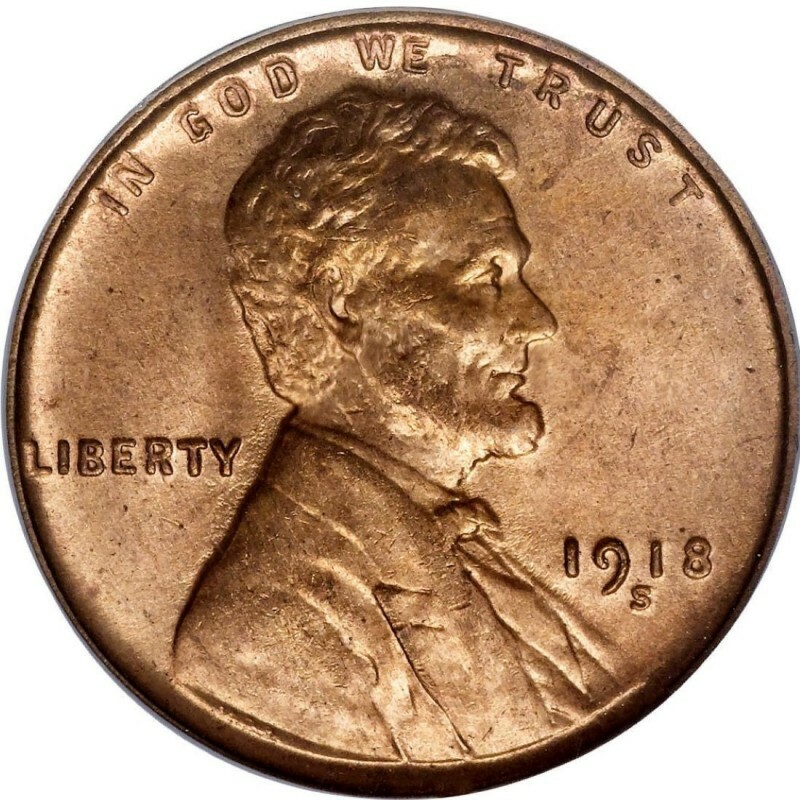 In general, 1918 was a quiet year for Lincoln Cent production, as no significant rarities were produced, and the only noted varieties, per se, are the regular three issues for each of the three operating Mints that year: Denver, Philadelphia, and San Francisco. Philadelphia Mint Pennies (no mintmark) were made in plentiful quantity in 1918, with 288,104,634 examples struck at the main Mint. The Denver (D) Mint also struck a high number, at least in comparison to production figures of other branch-Mint Lincoln issues of the teens; 47,830,000 Lincoln Pennies were made in the Mile High City. The San Francisco Mint was also quite productive in 1918, where 34,080,000 Lincoln Cents were made. These high mintage figures translate to significant availability of these coins today, and each costing under $1 for examples in nice, moderately circulated grades.